This family-oriented beachfront Maravilla Resort has an excellent location on Miramar Beach, providing everything you need for the ultimate Florida vacation! Enjoy the spacious private beach, pools, recently updated recreation center with tennis and shuffleboard, or take a dip in the hot tub. See the coast line with miles and miles of biking route and a 6-mile walking path along Scenic Gulf Drive. 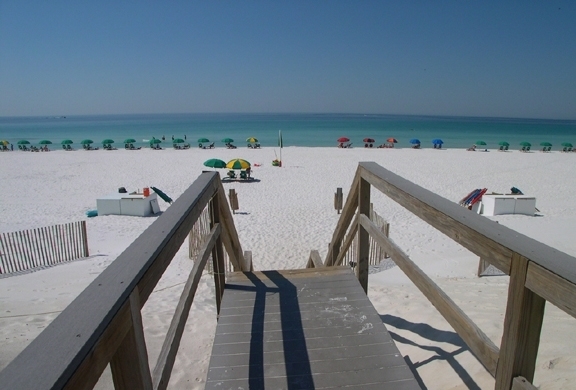 The sand is white and the water is emerald clear - this is Destin at its best! Recreation area around the clubhouse featuring 2 tennis courts, basketball, shuffleboard and plenty of green space.